Discussion in 'Astro Photography' started by M_J_Helin, Oct 30, 2018. Mike Lewis, AlanLichty and Kyle Jones like this. Sweeeeeet - I like shots like this. Comet shots - VERY hard to get right. I like this one - nicely captured tail, and if I am not mistaken, got it passing by M45! Very cool image and framing. Great job here Matti!!! I would love to get a shot like this one day. Thanks. 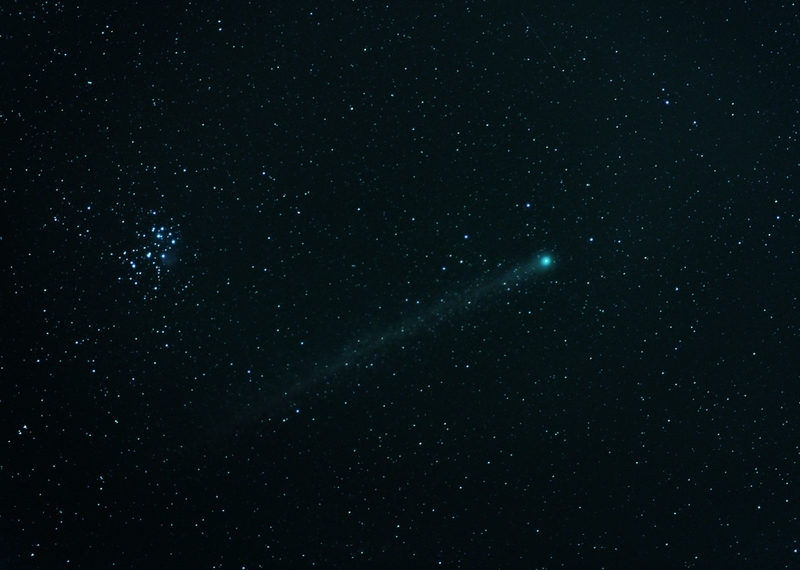 You might get lucky, there's a comet (Wirtanen) that will most likely be visible to the naked eye around December.